LOS ANGELES—Expressing concern over the fallout from several controversial tweets praising the president, Kanye West’s publicist was reportedly worried Thursday that the rapper’s support of Donald Trump would damage his carefully crafted public image as a manic, self-absorbed lunatic. 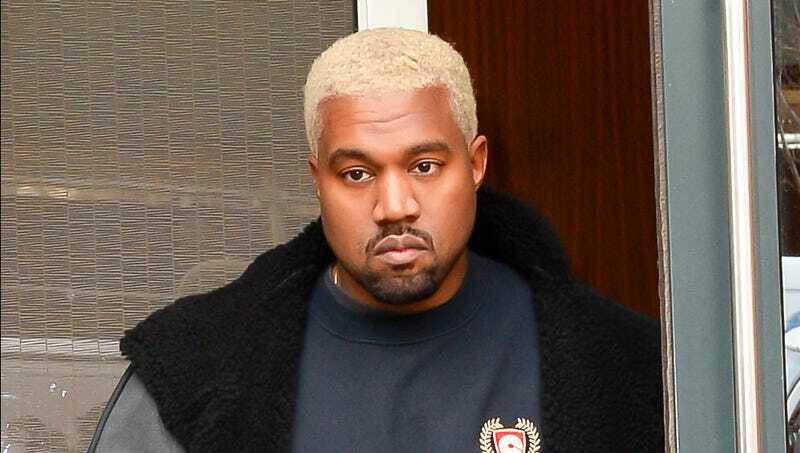 “Christ, we’ve worked so hard to maintain this image of Kanye as an incredibly vain, impulsive madman, and now he’s gone and ruined it all,” said stressed-out publicist Tracy Nguyen Romulus, explaining that she was in the middle of a massive damage control campaign to counter the effects that West’s statements had on fans who had always seen the hip-hop star as paranoid, egotistical, and delusional. “I’m concerned that when people think of Kanye now, they’ll associate him with these tweets, and not as being a batshit narcissist who will say absolutely anything for attention. Not to mention Kanye went and linked himself to our deeply unpopular president, destroying the illusion that he’s really just a deranged egomaniac absolutely obsessed with fame and power, and someone who already voiced support for Trump in the past. I don’t know what we’re going to do.” The publicist was also worried that a number of Kanye’s tweets about thought police and his inability to be managed would confuse and even alienate a public who knew the rapper to be straightforward, clear, and modest.